Rates listed do not include sales tax. 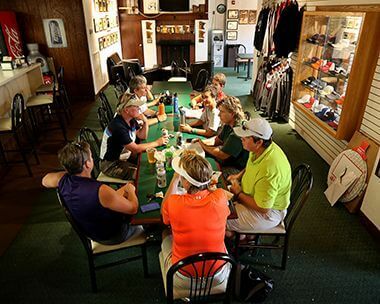 Join a league or take group or private lessons from a golf professional. 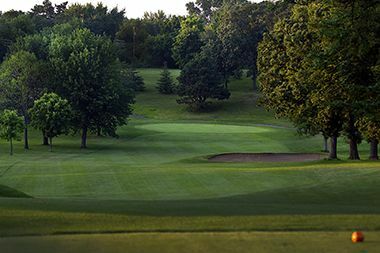 Columbia Golf Club, located in Northeast Minneapolis, is just minutes from downtown Minneapolis and St. Paul. 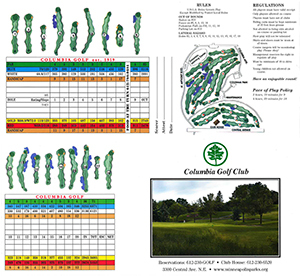 Columbia Golf Club started as a simple 6-hole, sand green golf course in 1919 and was expanded to 18 holes in 1923. 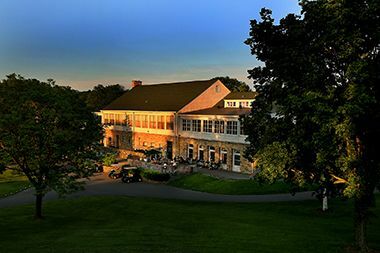 Now, after celebrating more than 90 years serving golf enthusiasts of Minneapolis, St. Paul and surrounding communities, Columbia Golf Club has evolved into one of the area’s premier golf facilities, featuring a state of the art golf learning center, full service food and beverage, and a golf shop. 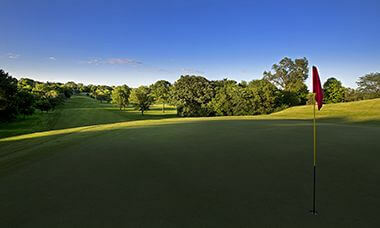 Columbia Golf Course features gentle rolling hills, mature tree-lined fairways, strategically placed bunkers and water hazards, multiple sets of tees to challenge players of all skill levels, and vistas offering breathtaking skyline views of downtown Minneapolis. Certified Audubon Cooperative Sanctuary status encourages courses to protect and conserve natural resources and the character and integrity of the land. 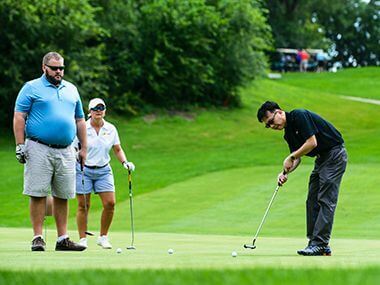 Certified courses demonstrate efforts to improve environmental quality in planning, public/member involvement, wildlife and habitat management, integrated pest management, water quality management and water conservation practices. 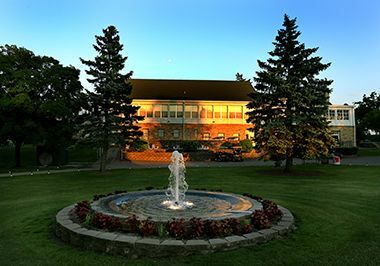 Columbia Manor is a stately reception facility and ideal for group golf outings, weddings, anniversaries, family reunions, and corporate meetings. Learn more about hosting your event at Columbia Manor. Early in the history of Columbia Park, the park board wasn’t sure what to do with the land. In 1898 it granted Patrick Ryan, perhaps the same Patrick Ryan who had served as a park commissioner 1890-1896, permission to cultivate the low land in the park. The following year the board gave some consideration to creating an arboretum at the park. Subsequent proposals for the park included making it into a “popular resort” (1905), a golf course (1910) and a large athletic field (1912). 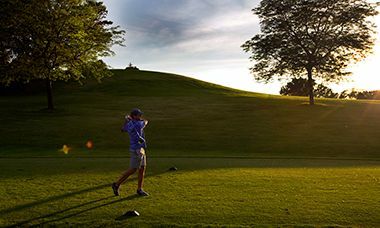 Golf continued to increase in popularity leading to the implementation of a registration system in 1927 to eliminate long waits for tee times. 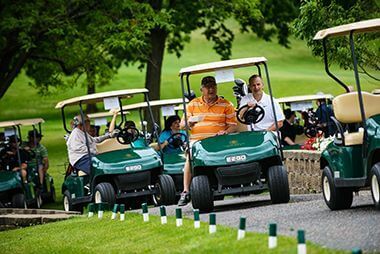 With the onset of the depression, however, golf’s popularity took a big hit. 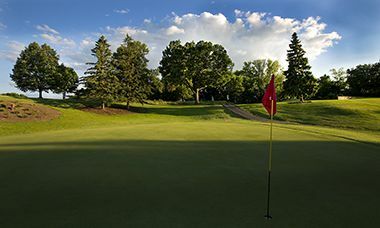 Rounds played at Columbia dropped by 30% in 1934 as they did at other courses, except Armour (Gross) Golf Course, which was the only course with an irrigation system to water the fairways. 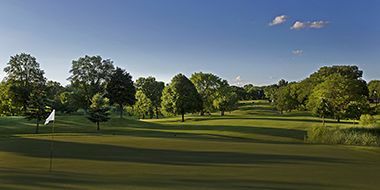 Even though the Columbia course was upgraded to grass greens in 1935, with the help of federal work relief funds, the course continued to operate at a loss for many years. In the late 1960s, Columbia was upgraded from a length of 4600 yards to 6200 yards to keep it competitive. 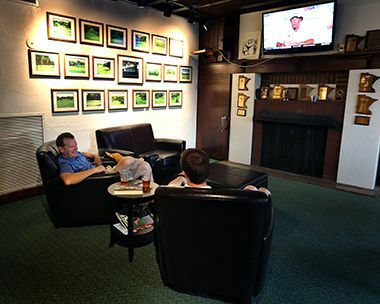 The locker rooms at Columbia were upgraded in 1987 and the club house was remodeled in 1990. 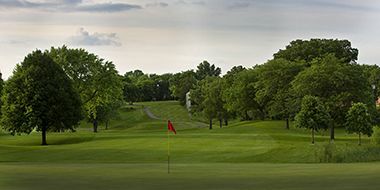 Columbia Golf Course was the first Minneapolis course to have a Golf Learning Center added in the 1990s. A new concrete patio and entrance steps to The Manor were poured in 2007 and a new irrigation system on the course was installed in 2009. 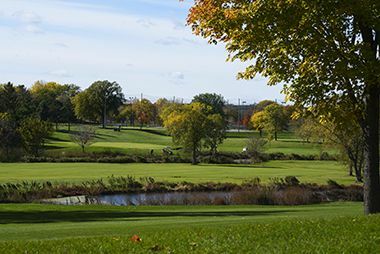 In 2011 a tree inventory was taken at the course to help plan for maintenance and potential replacement of ash trees. The historic bridge spanning the railroad tracks cutting through the course was rehabilitated in 2016. The bridge was originally constructed in 1896 and is one of only two steel-arch bridges that remain standing in Minnesota.